Is it just me, or does it seem like Christians grumble a lot about paying taxes? With recent news accounts about government waste, extravagant trips and questionable expenditures of our tax money, it does make paying taxes a bit distasteful at times. But what would Jesus do? 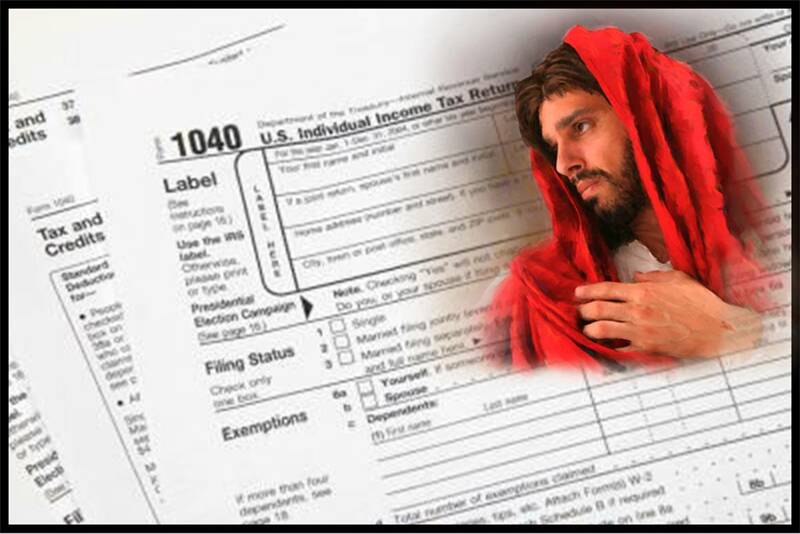 Did Jesus pay taxes? The answer to the question is found in Matthew, the tax collector’s, gospel account. Jesus paid taxes. Not because HE had to, but to serve as a good example. The Temple belonged to His Father. Yet, he had Peter paid the tax for both of them. The Jews hated the Roman rule. The emperors were immoral and corrupt. They were pagans. And they made life difficult for God’s people. So, Jesus gave them a pass. Right? Wrong! He said show me a coin. Then asked whose inscription was on it. When they answered, “Caesar’s.” He said, “Render therefore to Caesar the things that are Caesar’s, and to God the things that are God’s.” (Matt. 22:15-22). But what were Christians told to do after the church was established? Revolt? Rebel? Refuse to pay taxes to an ungodly government? From these texts we learn at least five things. 1. God’s people have obligations to the Kingdom of God, as well as the kingdoms of this world. 2. Our secular responsibilities are guided by our spiritual commitments. 3. We are to respect those positions of governmental authority. 4. Jesus’ followers paid their taxes. 5. Christians have a higher calling to be honest, ethical, and honorable. So, on this tax day, let us as “children of light” pay what is rightfully due Uncle Sam. Tax evasion is a violation of Biblical principles. (Notice, I didn’t say tax avoidance, which is using the legal IRS exemptions to reduce our tax burden.) But to purposely withhold income. To declare expenses that are bogus. Or to refuse to even file is to dishonor our King. King Jesus. Jesus paid taxes. So should I.